Work in Progress Las Vegas has a new leadership team, and #VegasTech gets to make the very first public announcement! 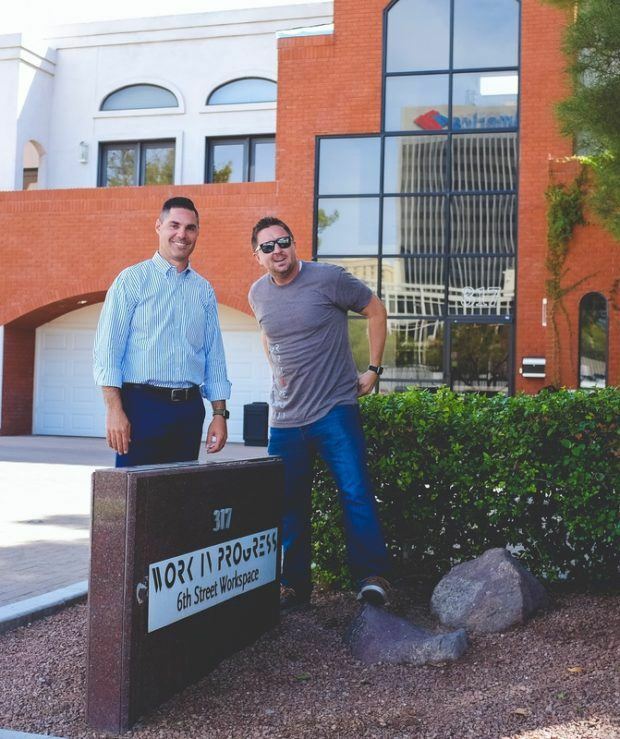 As of Monday, September 18th, Kenny Eliason and Kurt Wankier of NeONBRAND Digital Marketing (the company that operates #VegasTech) are officially the new owners of Work in Progress. A letter was sent to current Work in Progress tenants yesterday to privately announce the transition. NeONBRAND was, once upon a time, a tenant of Work in Progress. Now, as the company grows and plans for the future, they’ll return to Work in Progress to work alongside the other tenants and provide support, community, mentorship, and exciting resources that will make the coworking space an even better environment for growth. Kenny and Kurt are a powerhouse business team. With Kenny’s creativity, intuition, and tech prowess, plus Kurt’s business savvy, head for numbers, and laser focus, they form an impressive partnership with the genius to come up with great ideas and then actually follow through to success. Each brings a valuable set of skills to Work in Progress, and both Kurt and Kenny are fervently dedicated to helping Las Vegas businesses succeed. If Kenny looks familiar, it’s probably because you’ve been to one of his Meetups, seen him present at a tech or startup accelerator event, had a question answered in one of his Facebook groups, worked with him within the WordPress community, or bumped into him during the 12 years he’s worked in Downtown Las Vegas. 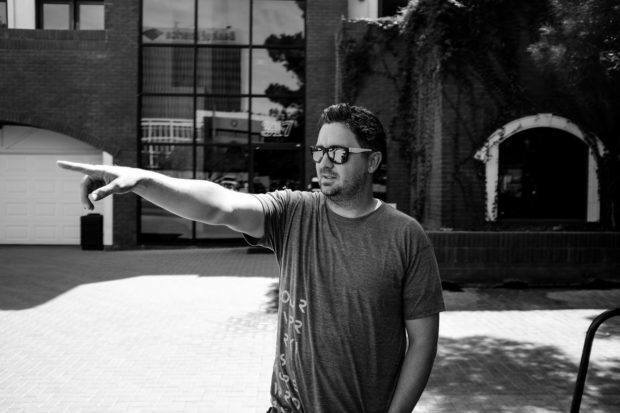 Kenny is the founder of NeONBRAND, the Big Cheese here at #VegasTech, and the guy behind the SEO, Social Media, and Graphic & Web Design Meetups – those are the ones with free pizza at lunchtime. His background in business and marketing and his instinct for tech and entrepreneurship drew him to the Vegas tech scene, about which he’s still passionate. At Work in Progress, Kenny will continue the regular Meetups (and the pizza) as he finds more ways to bring valuable resources to coworking tenants. In 2015, Kurt joined the NeONBRAND team as CEO, and the company’s growth is evidence of his prowess. Kurt has a long history of helping businesses succeed, including his work with the Small Business Administration to provide consulting services and coaching to growing companies. At Work in Progress, he’s excited to continue that mission, amplifying results by leveraging the added productivity boost that comes with healthy coworking environments. Though he’s currently the CEO of a tech-focused marketing agency, Kurt’s background includes extensive experience in the financial world, medical practices, and traditional sales and marketing. If you’re looking for somebody that can cut right to the point and show you the path to spectacular results, he’s your guy. The NeON team is moving in, so if you stop in with a day pass or keep regular desk space at Work in Progress, you’ll see them around. 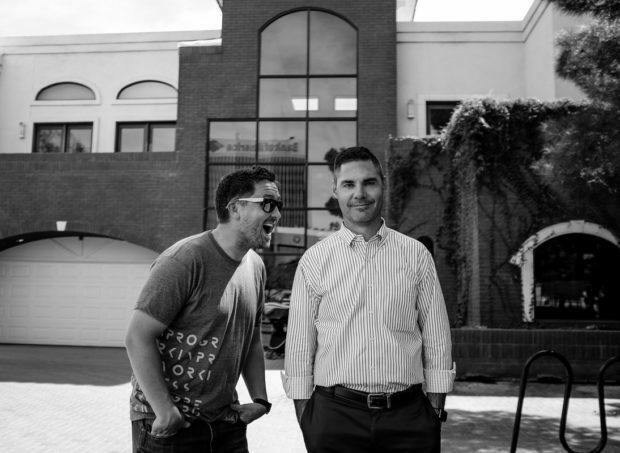 NeONBRAND “grew up” in coworking spaces, and both Kurt and Kenny attribute some of NeONBRAND’s success to the connections, attitudes, and opportunities that coworking created. Tenants and visitors will be fortunate enough to meet office manager Jacey Barit, who keeps things organized at NeONBRAND and now handles the daily operations at Work in Progress. 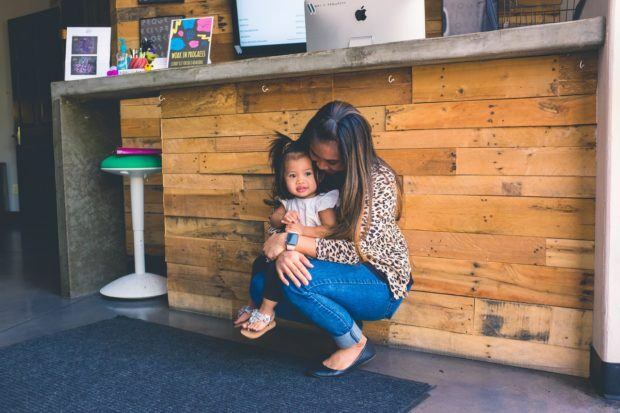 Jacey is the office mom, both literally (she has 3 incredible kids) and in the sense that she takes care of everything that needs to be done while somehow managing to organize and direct a group of creative, techy people. She does it all – handles scheduling, keeps the NeON team on task, takes the best meeting notes, and even orders lunches sometimes. As the new administrator for Work in Progress, Jacey’s job is to coordinate, organize, and make sure that everything keeps moving along smoothly. She’s kind of a rock star when it comes to office management, so Work in Progress tenants are in good hands. As Work in Progress transitions, there will be some changes. It’s too early to say with certainty what those changes will be, and updates will be released regularly each time something is finalized. 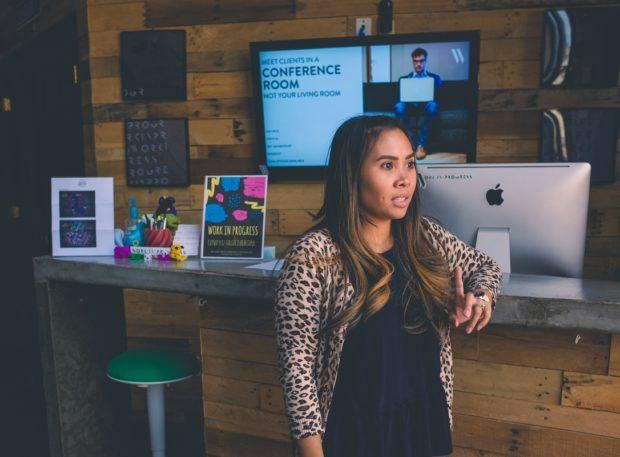 Expect plenty of resources and opportunities, including more mentorship hours, several great Meetups, social events that give tenants the chance to get to know their coworking neighbors better, and more perks for Work in Progress coworking residents. Kenny, Kurt, and Jacey are frequently at Work in Progress’ downtown location where they’re meeting members, answering questions, taking suggestions, and building towards their vision for the future. If you’re a current tenant of Work in Progress, check your email for the official letter that announced the new ownership. If you’re not a current member of Work in Progress, but have questions about memberships or day passes, you can contact Kenny ([email protected]) or Jacey ([email protected]) to get answers. Hi…I want membership prices please… mainly interested in “altcoin”…meet ups…info… for beginners…!!! Hi there! You can find membership levels on the Work in Progress site by clicking that link. Congratulations . . . I was a member of Work In Progress in 2014. Since then I have traveled the world visiting may other similar facilities. Recently, I worked out of the Station F in Paris, France. Thanks Roger! Coworking is a pretty awesome thing.